Registered in England and Wales as company number 07005392. Our VAT registration number is 980 7306 07. Prospect Estate Agency owns the website located at www.prospect.co.uk (the "website"). By accessing and using the website you the user agree to be bound by these terms and conditions (the "Terms") which govern your access to and use of the website. Any user name and/or password we issue to you are personal to you and you may not share these with and/or transfer these to any third party. You are solely responsible for any user name and/or password and you shall immediately notify us if you are aware of any breach of security. Any user name and/or password must not be offensive and/or vulgar and we reserve the right to block your use of the website if we reasonably believe the user name and/or password to be inappropriate for any reason. We may at our sole discretion and for any reason, suspend and/or cancel your registration to any of our services. All text, data, charts, tables, software, video, music, sound, graphics, photographs, illustrations, artwork, names, logos, trademarks, service marks and other material on the website (the "content") and all rights in it belongs to Prospect Estate Agency. You may retrieve and display content from the website on a computer screen, print individual pages on paper (but not photocopy them) and store such pages in electronic form on disk (but not on any server or other storage device connected to a network) for your personal use. Content may not be copied, reproduced, republished, downloaded, posted, broadcast or transmitted in any other way. You agree not to adapt, alter or create a derivative work from any of the content on the website or to use it for any purpose other than for your personal and non-commercial use. You agree to use this website only for lawful purposes and in a manner that does not infringe the rights of or restrict or inhibit the use and enjoyment of the website by any third party. Such restriction or inhibition includes, but is not limited to, conduct which is defamatory, or which may harass, cause distress or inconvenience to any person and the transmission of obscene or offensive content or the disruption of normal flow of dialogue within the website. 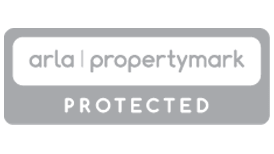 All copyright, trademarks, database rights and other intellectual property rights that may exist in this website and the content shall remain at all times the property of Prospect Estate Agency. The trademarks, service marks and logos used and displayed on this website ("Trade Marks") are registered or unregistered trademarks of Prospect Estate Agency. Nothing on this Website should be construed as granting, by implication or otherwise, any licence or right to use any Trade Mark without written permission from Prospect Estate Agency. The name of Prospect Estate Agency may not be used in any way, including in advertising or publicity pertaining to distribution of content without the prior written permission of Prospect Estate Agency. The website and content is provided "AS IS" and on an "AS AVAILABLE" basis and Prospect Estate Agency does not guarantee the accuracy, timeliness, completeness, performance or fitness for a particular purpose of the website or any content. All implied warranties, including but not limited to the implied warranties of satisfactory quality, fitness for a particular purpose, non-infringement, compatibility, security and accuracy are excluded from these Terms to the extent that they may be excluded as a matter of law. In no event will Prospect Estate Agency be liable for any loss including, without limitation, indirect or consequential loss, or any damages arising from loss of use, data or profits, whether in contract, tort or otherwise, arising out of or in connection with the use of this website. Prospect Estate Agency has tried to ensure that all the content provided on the Website is correct at the time of publication. The content is provided on an information basis only and should not be relied upon. No responsibility is accepted by or on behalf of Prospect Estate Agency for any errors, omissions, or misleading content on the website or on any websites to which the website connects. Prospect Estate Agency does not warrant that the website or content will be uninterrupted or error free, that any defects will be corrected, or that this website or the server that makes it available are free of viruses or bugs. Prospect Estate Agency reserves the right, at its discretion, to make changes to any parts of the website or these Terms. When these Terms are amended, Prospect Estate Agency will publish details of the amendments on the website. Your continued use of the website is taken as your agreement to be bound by these Terms as amended. 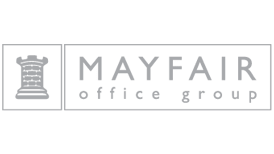 If there is any conflict between these Terms and any other written agreement between you and Prospect Estate Agency then the latter shall prevail. 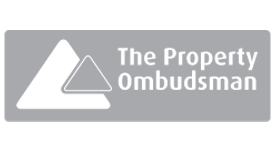 Prospect Estate Agency will not be responsible for any breach of these Terms caused by circumstances beyond its reasonable control. Prospect Estate Agency is not responsible for the availability or content of any third party websites or material you access through this website.